Snyder’s-Lance Chip route for sale in the Fort Worth, Texas region for $109,900! Company financing with $27,014 down! Currently generating an estimated $406,796 in yearly sales and nets $60,119! Distributorship and territory is purchased through Snyder’s-Lance. 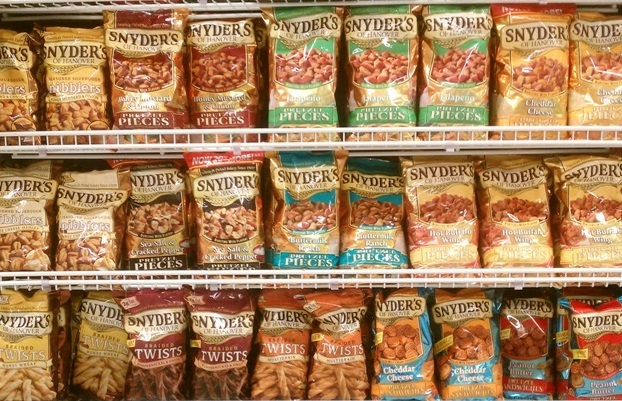 Snyder’s-Lance currently distributes its well-known brand of Snyder’s Pretzels, Lance Crackers, Stella Dora, Kruncher’s, Beef Jerky, Archway Cookies, Cape Cod Chips, Grande, Eat Smart, and more. This route currently has 8 accounts delivering to popular grocery stores, convenience stores, and a gas station. Well established route with plenty of growth potential. Turnkey business backed by a publicly traded company on the NYSE! To summarize, you will deliver product to existing accounts that include grocery stores usually starting in the morning hours. Your responsibilities will include the following: evaluating and creating an order of product needed for the shelf, pull the order from your inventory, receive the order through the back door, and then fill the order to the shelf. After servicing your accounts for the day you will proceed to the warehouse to pick up additional product for deliveries the following day. What are the current average sales for this route? Currently this route averages $7,823 per week or $406,796 per year. Documentation will be provided to all serious buyers. As an independent distributor you are paid by commission. Commission varies depending on the items sold. This route currently receives an average of 18% of its net weekly sales (after promotional contribution) of $7,823 ($1,408 per week). $1,408 per week is the routes weekly average, or a gross of $73,223 per year! This number can be increased, by supporting the company’s promotions and up selling within your designated territory. Route values can also be increased by new stores opening, new product lines being added, and simple inflation. Yes, the company will offer financing through a third party at an estimated $82,886 for 10 years. Additional qualifications require no bankruptcies or felonies. Down payment for the remaining balance requires a certified cashier’s check. If more financing is needed you can review additional Financing Options Here. Expenses include, but are not limited to: route payment (if you finance), fuel, stale or damaged product, vehicle repairs, computer, insurance for your vehicle, and liability insurance for your business (Note: route payments vary for each distributor, depending on how much money you put down verses how much you finance). The current owner estimates $252 per week or $13,104 per year in expenses/overhead (Note: Expenses represent a cash purchase and do not account for finance payments if requiring a loan to purchase). The current owner services this route using a 2017 Interstate Brand Cargo Trailer (8.5 ft x 20 ft) which is included in the purchase. 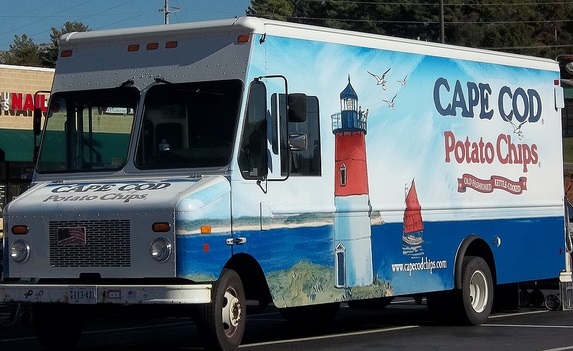 Common delivery vehicles used for this type of business are box trucks or cargo trailers. When considering additional vehicle lease or purchase, Routes For Sale recommends Bush Trucks. The gross income for the route is $73,223 per year, minus your $13,104 estimated yearly operating expenses as mentioned above gives you the net of $60,119 per year! All route sales are determined by a ratio based on a weekly sales average. The selling price of this route is $109,900 based on a weekly sales average of $7,823; you come up with a selling ratio of approximately 14:1! No, you do not have any upfront or out of pocket expenses when purchasing your inventory (inventory is carried from week to week). However, you are responsible for any inventory that is not sold on a weekly basis. Any inventory carried over to the following week will be credited to the following weeks sales/commission. Yes, as an independent distributor you sign a service agreement to represent Snyder’s-Lance. The contract is to protect both the company and its distributors. Owner is pursuing other career opportunities. The route consists of 8 accounts that include popular grocery stores, convenience stores and a gas station. Location of accounts and warehouse will be disclosed upon execution of an NDA. How long has the seller owned the route? Current owner has owned a route through Snyder’s-Lance for almost 5 years. During promotions the distributor contributes 17% of the promotion allowance and the company assumes the remaining 83%. The current distributor works 5 days a week taking Friday and Saturday off. Early morning hours are required. Current owner services the route in approximately 32 hours a week. As an independent distributor/business owner you are responsible for servicing the route. In most cases there is a qualified “go to” person who is familiar with the company’s routes through networking with other distributors. Another option is to hire or train someone for additional time needed off. Snyder’s-Lance merged making them the second largest salty snack producer in the country! The company continues to be aggressive promoting growth and adding new product lines. High income producing routes don’t last long! Priced at $109,900 and financing offered with $27,014 down! Contact Us About This Route Here! In order to provide New Buyers with as much information as possible we have put together a quick overview of the industry. Learn More About Snyder’s-Lance Routes Here! For additional Consulting Services with one of our route specialists Request A Consultation Here.